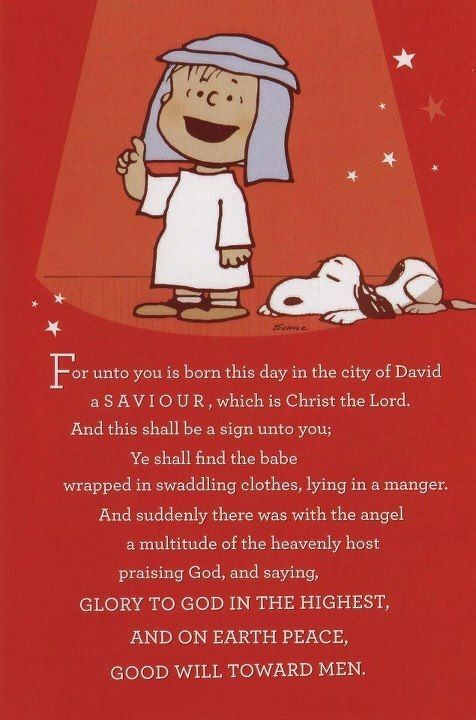 A Texas school district voted to support of a middle school principal who ordered that a Charlie Brown poster be torn from the wall because it said, "For unto you is born this day in the City of David a savior which is Christ the Lord... That’s what Christmas is all about Charlie Brown." The poster was put up on the door of the nurse's office. The Texas attorney general had urged the Killeen school district to allow the poster. But the school district knew better. For unto you this day in the town of Killeen, a school board which is filled with cowards, was born.